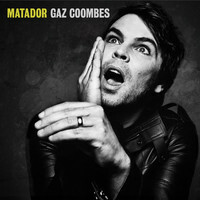 Over 20 years into his musical career, former Supergrass frontman Gaz Coombes has just unveiled arguably his finest album yet. Here, he discusses the instinctive creative process that informed his second solo record, Matador. A massive congratulations on Matador; it’s picking up some great reviews. How do you feel you’ve progressed since Here Come The Bombs? I just think they are really different records. With the first record, I was exploring a lot of ideas; just experimenting and trying to find my voice. And while it made for some great moments, I’m just a little bit more at ease with this record. These new songs felt focused really early on; I could hear a sound emerging straight away. 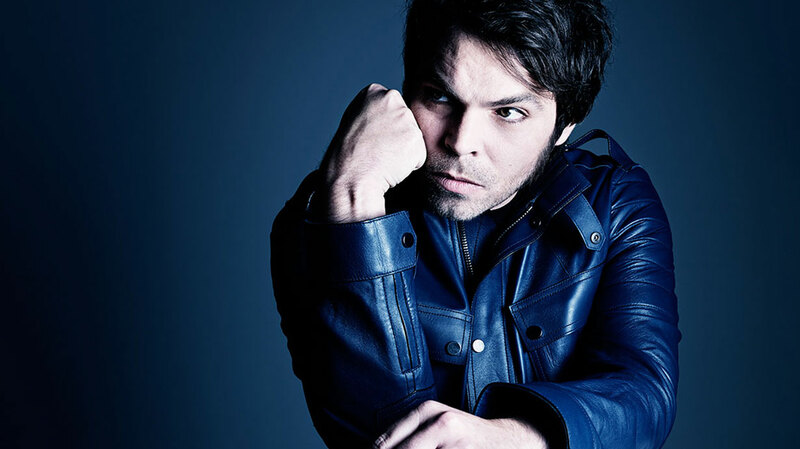 Ultimately, I’m now a couple of years on from when I left [Supergrass] and I’m feeling more comfortable and confident in the music that I’m writing. My songwriting has definitely come together in a really focussed place for this record, which is satisfying. What was the starting point for Matador? ‘Buffalo’ was the first track that I finished, and it’s also the first single from the record and the first song on the album, so there was a parallel that I wanted to retain there, sonically. Stylistically, that gave me a direction to go in. As far as I’m concerned, there is no baggage. I’m starting on a blank page. We understand you started writing the album while you were still touring the last record, is that right? Yeah, coming back home after gigs, I’d get into the studio. But it’s very much a continuous sort of process; I don’t completely separate touring and writing. I was definitely really keen to move on as quickly as I could from the first record and just keep the momentum going. And I knew I was in a good vein of writing form, and that really lifted me up and gave me a lot of confidence to really get my teeth into album number two. There’s definitely a wide range of different styles on display. Were you consciously seeking out different sounds for this record? I think it was more just instinctive, really, like, “What do I want to hear?” In one respect, it really is as simple as that, but it leads to a more complicated, more intense process of trying to translate that into a record. Getting ideas and putting them down felt pretty natural, and I was using a lot of first takes. When I listen back now, I’m hearing great little bum notes here and there throughout the record, like at the end of ‘20/20’. Maybe people won’t really notice, but I hear them. I don’t know, maybe I’m a purist, but I like not fully rehearsing or “nailing” an idea, because sometimes you can just nail the life out of it. It was a cool way of working: just laying an idea out as it is, quickly and spontaneously; working by the seat of your pants. I like the moments of lo-fi, and hearing bits of hiss here and there: it’s more about what’s being played rather than sonic perfection. Was that a new way of working, for you? Yeah, I think so. Through the years I was in [Supergrass], it was all about rehearsing and getting set for the studio, because we knew we were paying a lot of money for the time, and to have a producer come in. You had to be on the ball, and there wasn’t really room for procrastination. So, to do it like this – to be a lot freer and let the ideas speak, and not spend five hours getting your sound down – was great. Those imperfections make the record feel more human. Yeah. The aim is to get as close to the source as possible, whether that’s the sounds happening in my head or the way I feel emotionally. Otherwise it gets cloudy. On the last record you played pretty much every instrument on the album. Was that the same for Matador? Yeah, I produced it, and halfway through the record I went to the studio of my friend Ian Davenport, who is also the brilliant in-house engineer/producer. When I was starting to rant at myself and getting a bit of cabin fever –going slightly mad, perhaps – I realised it was time to get out of it! It was great to work with someone else for a little bit, and Ian was great to bounce the ideas off. In terms of subject matter and overall tone, Matador feels a darker album than Here Come The Bombs. Where were you drawing inspiration from lyrically? It sounds a cliché but you just write about what you know; whatever turns you on, whatever freaks you out. Songs can be based on an experience from a while ago, or they can address something that is currently on my mind: it’s all there to be explored. And if I get a few lines at the beginning of a song, the first thing I do is question myself, like, “Is this interesting to sing about? Is this a powerful story? Is this a cool approach for a song, lyrically?” and take it from there. I’ve really enjoyed writing the lyrics on this record, and I think I wasn’t afraid of being too honest or too emotional at times. There’s just no point at hiding away from that stuff. But equally, there’s loads of light on the record. There’s a lot of love, and moments of connection between two people; I just find moments like that really beautiful and I think they’re worth writing about. I’m still very much in the mode of looking at each track independently, so I don’t think I have the time or space to look at the album as a whole. It’s also interesting for me to leave it up to other people to find a thread or make connections within the record. The great thing about music is finding your own interpretations. Do you have a favourite track on Matador? It changes all the time. ‘Needle’s Eye’ was sounding incredible in rehearsals the other day, and I guess I had a mini-realisation where I thought, “This is f*cking great,” but no, I don’t have a favourite. The songs live and breathe, especially when you take them out on the road; it’s a whole new phase, they literally come to life. Two decades into your career, are you still learning things about yourself as a musician? Yeah, everything! Lyrically, I’ve become a lot more in tune with what I want to write about, especially in the past couple of years. The way that we wrote in [Supergrass] was quite tough at times. But it’s really important to me that I’m learning new things all the time. I mean, I see myself as a new artist: I might have been in a band for quite a few years, but I’ve got barely any experience of being a solo artist. It’s all new to me, and I’m feeling my way still, and that challenge is very exciting. Have your motivations for making music changed at all over that time? I think I’m driven by the same things as I was in Supergrass: I just want to make something that sounds f**king great. And there’s always been that drive to improve, and to make better and better music. But, you know, it is different [being a solo artist] to how it was in the band. In Supergrass, there was definitely a pressure to provide the hits that would follow from ‘Alright’ and ‘Pumping On Your Stereo’. I think that, as soon as you make it, you become successful for a certain thing and then the pressure is on to maintain that. I do think we did really well, but it’s been really amazing to start again; it was like emptying everything out and starting again, and that was just so exciting and freeing. I know that the media are always going to refer back to Supergrass but, as far as I’m concerned, there is no baggage. I’m starting on a blank page.